Glass of Fancy » Blog Archive » Fun Girl-Gifts! - Fashion, fiction, and life in the city. 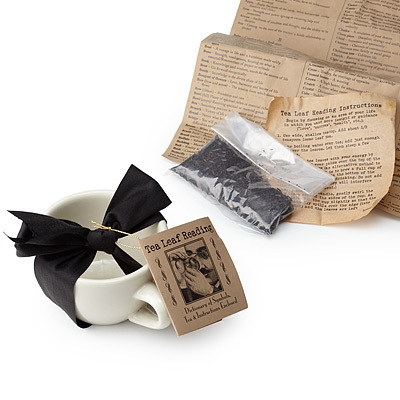 If you just need a little something, try the tea leaf reading kit pictured above. While I am in no way a believer in the predictive power of damp vegetation, this sounds like fun. How many books have you read that referenced reading tea leaves? I can’t say that I have always wondered how it was done, but now that I see this, I wonder why not. This would be especially great for a tea party or a ladies’ brunch where everyone can exercise their talents in telling each other’s futures. If you’re looking for something more substantive, you might consider a gift certificate to Paulina Carcach’s website, for use on her Design Your Own handbag site. Sure, you could buy a ready-made bag, but Carcach also makes handbags to order. Her Design Your Own applications offers you the choice of a slew of different bag shapes and dozens of different types and colors of leather to choose for the body, the detailing, the strap. You can even choose a fun color for the bag lining. I made myself a snappy little virtual Ana bag in gray and plum lambskin that I may be picking up when the summer weather rolls around. 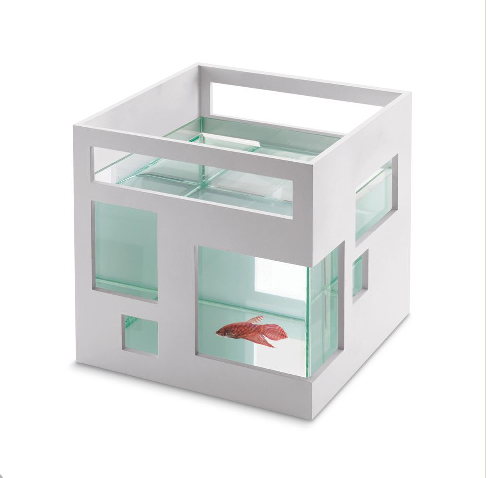 For the design-conscious friend, try Chiasso’s “aquatic condo,” a miracle of modern style… for your goldfish. They're even stackable! $28 from Chiasso. Hey, if she lives in a high-rise, why shouldn’t her betta? I always knew cats were more flexible than I am. $9.95 from Catching Fireflies. 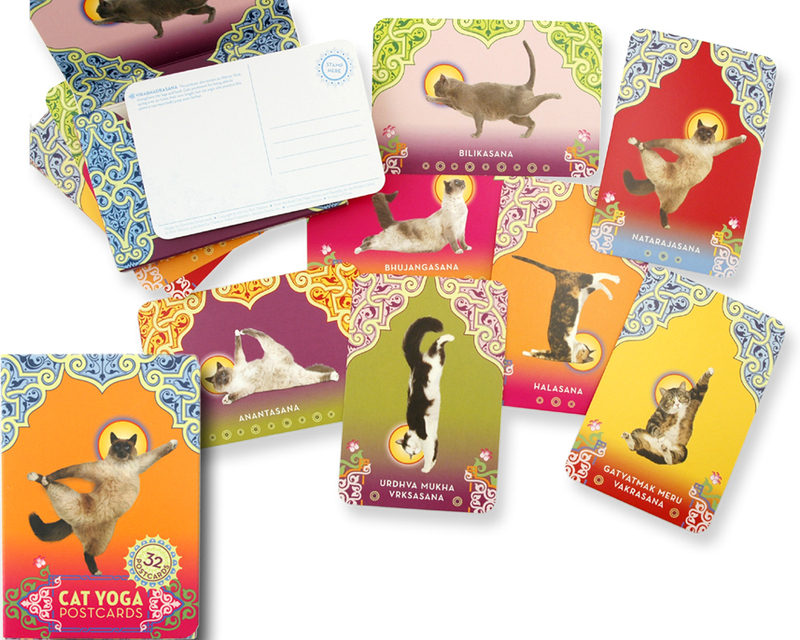 They’re actually very pretty postcards in addition to having cats doing ridiculous things on them, and if there’s anything the internet has taught us, it’s that people really like pictures of cats doing ridiculous s***. And for a double whammy, if she’s an epicure or a movie buff, try a set of gourmet finishing salts from The Meadow. 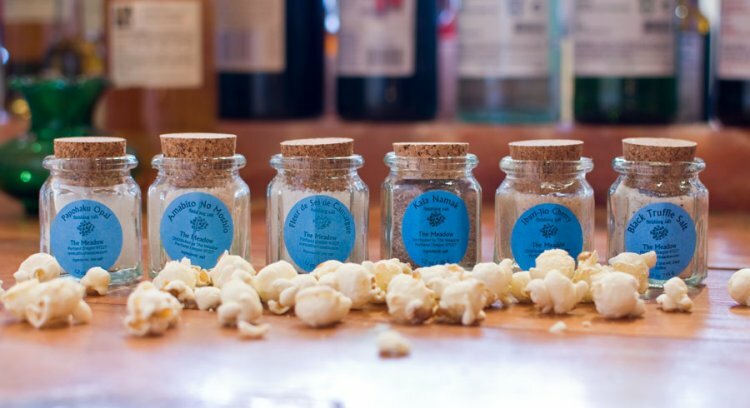 They offer a variety of sets, but for an easy gift, try their Popcorn Salt set — six of their favorite salts to top off a nice bowl of popcorn for a home video. Popcorn Salt Set; $52 from The Meadow. This entry was posted on Monday, February 20th, 2012 at 8:00 am	and is filed under Frippery, Life. You can follow any responses to this entry through the RSS 2.0 feed. You can leave a response, or trackback from your own site. Oh my God. I love all of these. I hate the standard things-people-buy-women. My poor husband is justifiably bumfuzzled when he shops for me. I’ll just accidentally e-mail him your page, I think. There’s a lot of fun stuff out there if you put a little work into it! I like many of the things that women typically give women, but even for me, there are only so many scented candles I can get through. I LOVE the fish condo! I need buy someone that (and the tea reading thing too).